Interviewers want you to answer interview questions about what success means to you in your job and career and what you want and look for in a job. They can then evaluate if your idea of success fits well with the company's definition of success. 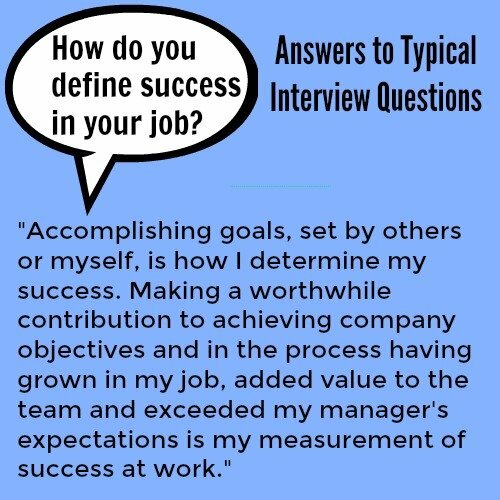 Interview questions that assess what you work towards and what motivates you are important to determine a proper motivational fit with the company and the job itself. This interview question explores the performance standards you set yourself in your job. How do you define success in your job? The best way to handle this job interview question is to provide an accepted definition of success and then support this with good examples of your own success. One of the well-accepted definitions of success is goal attainment. Achieving a challenging goal or set of goals would be considered success by most people. It is important to relate your job interview answer in some way to the position you are interviewing for. Providing measurable and specific examples of success is more convincing than making vague references to past achievements. Follow up with a specific example of goal attainment. "Success means the achievement of a challenging and measurable goal that I have set for myself or that has been delegated to me. In my previous position I had specific sales targets to meet every quarter. I set myself the goal of been up on my monthly targets by 5 percent. I managed to exceed my quarterly targets by 8 percent on average. That, for me, was success." Get help with answering employer interview questions that ask "What has been your greatest achievement to date?" The key to answering interview questions about your dream or ideal job is that your response should be in line with the characteristics of the job and company you are interviewing with. Answering this question requires you to consider your strengths and weaknesses, what you have liked and disliked about your current and previous jobs, and what your career ambitions are. "I believe a job is what you make of it. Each position and company has unique characteristics that give meaning and value to that job. If you work hard and make the most of the opportunities given, you will find job satisfaction. I am enthusiastic about a position that allows me to learn and grow and to make a positive and meaningful contribution." What do you like and dislike most in your job? How have you enriched your current job? "The sales team had to meet a big launch deadline and I volunteered to help out with preparing the presentations. I worked overtime to successfully complete the project. They were very pleased with my work and I received a commendation from the Sales Director." How to answer interview questions about the work-related skills that you have developed. What motivates you in a job? 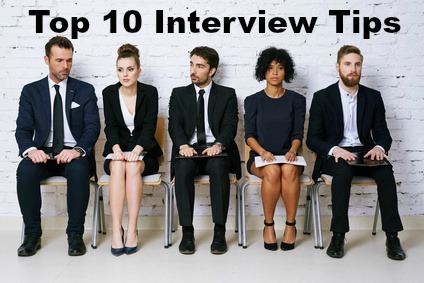 Click here for job interview answers to tough interview questions that can throw you in your job interview. Why do you want to leave your job?